Metal Circus (this album) (1983). Sorry, no matches on eBay for "Deadly Skies husker". 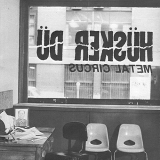 Related links: top tracks by Hüsker Dütop tracks of the 1980s, top tracks of 1983.